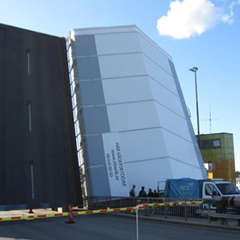 O.B.Wiik is Norway's leading manufacturer and supplier of tarpaulins. 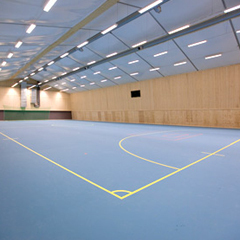 The company offers standard sizes in various quality grades, made-to-measure tarpaulin products and tarpaulins for hire. A large variety of standard sizes in various grades are held in stock, with possibilities for making to measure. 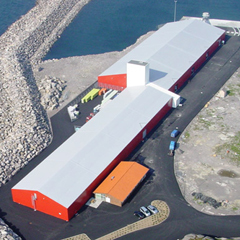 O.B.Wiik's products are manufactured to the customer's measurements and specifications by its own made-to-measure department. Light tarpaulins are alternative for less considered heavy wear and durable shelters at reasonable prices. All these products have reinforced hems with cords and grommets built in every metre and are manufactured in cross-laminated polyethylene. 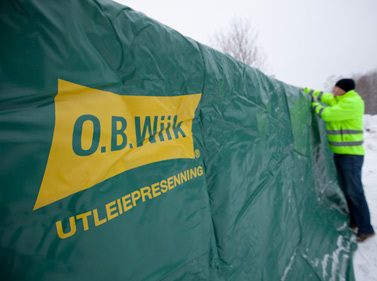 Made to measure lets O.B.Wiik to manufacture PVC-coated tarpaulin products to customer drawings and measurements. A broad range of different fabric grades and colours is available.